With a stay at Lorelei Resort Motel in Treasure Island, you'll be on the waterfront, within a 5-minute drive of John's Pass Village & Boardwalk and Dolphin Marine Rentals. 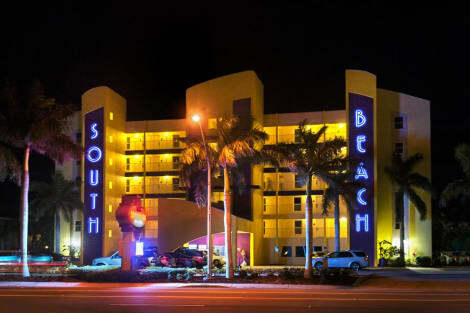 This motel is 9.6 mi (15.4 km) from Salvador Dali Museum and 7.7 mi (12.3 km) from Eckerd College. Make yourself at home in one of the 34 air-conditioned rooms featuring microwaves and flat-screen televisions. Complimentary wireless Internet access keeps you connected, and cable programming is available for your entertainment. Private bathrooms with shower/tub combinations feature complimentary toiletries and hair dryers. Conveniences include phones, as well as desks and coffee/tea makers. Enjoy recreation amenities such as an outdoor pool or take in the view from a garden. Additional features at this Art Deco motel include complimentary wireless Internet access, wedding services, and a television in a common area. Located in Treasure Island, The Bungalows is on the Strip, within a 15-minute walk of John's Pass Village & Boardwalk and Hubbards Marina. This motel is 0.7 mi (1 km) from Alligator Attraction and 1.9 mi (3.1 km) from Treasure Bay Golf and Tennis. Make yourself at home in one of the 53 air-conditioned rooms featuring kitchens with full-sized refrigerators/freezers and microwaves. Complimentary wireless Internet access keeps you connected, and cable programming is available for your entertainment. Conveniences include coffee/tea makers and irons/ironing boards, and you can also request rollaway/extra beds (surcharge). Make yourself at home in one of the 30 air-conditioned rooms featuring kitchens with refrigerators and stovetops. Rooms have private balconies. Wired and wireless Internet access is complimentary, and flat-screen televisions with cable programming provide entertainment. Conveniences include separate sitting areas and microwaves, and housekeeping is provided on a limited basis. Take advantage of recreation opportunities such as an outdoor pool, or other amenities including complimentary wireless Internet access and an arcade/game room. 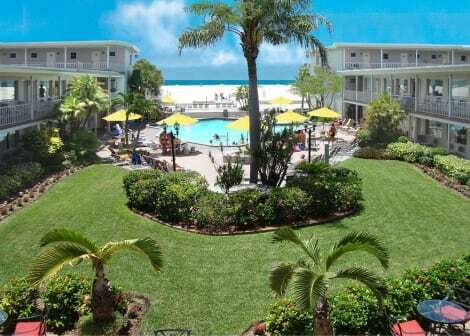 Additional features at this condominium resort include a picnic area and barbecue grills. Featured amenities include a 24-hour front desk and an elevator (lift). Planning an event in Treasure Island? This hotel features 1200 square feet (111 square meters) of event facilities. Free self parking is available onsite. Make yourself at home in one of the 83 air-conditioned rooms featuring kitchenettes with refrigerators and microwaves. Your pillowtop bed comes with premium bedding. Rooms have private balconies or patios. 37-inch LCD televisions with cable programming provide entertainment, while complimentary wireless Internet access keeps you connected. Take advantage of recreation opportunities such as an outdoor pool or take in the view from a terrace and a garden. This hotel also features complimentary wireless Internet access, wedding services, and tour/ticket assistance. 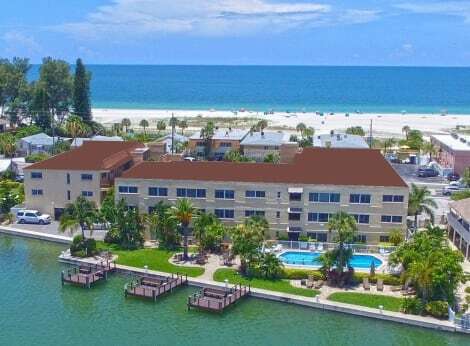 With a stay at this condo resort in Treasure Island, you'll be on the beach, within a 5-minute drive of John's Pass Village & Boardwalk and Dolphin Marine Rentals. 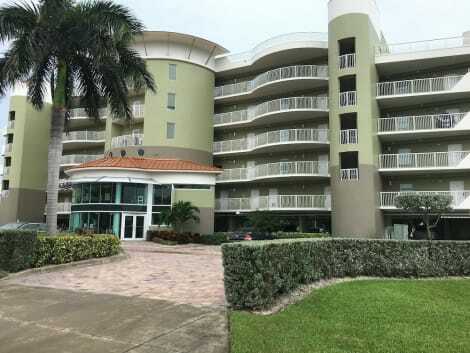 This beach condominium resort is 9.5 mi (15.4 km) from Salvador Dali Museum and 7.7 mi (12.4 km) from Tropicana Field. lastminute.com has a fantastic range of hotels in Treasure Island, with everything from cheap hotels to luxurious five star accommodation available. We like to live up to our last minute name so remember you can book any one of our excellent Treasure Island hotels up until midnight and stay the same night.